عندما تزور كيرنز, ستشعر أنك في بيتك في Vision Apartments الذي يقدم لك إقامة متميزة و خدمات عظيمة. يسهل الوصول إلى هذا الفندق ذو 5 نجوم من المطار، فهو يبعد عنه مسافة 7 Km فقط. سوف يعشق النزلاء موقع هذا الفندق، فهو قريب من أهم المعالم السياحية في المدينة كمثل Cairns Esplanade Boardwalk, JUTE Theatre Company, St Monicas Cathedral . يقدم Vision Apartments خدمات لا غبار عليها وكل أشكال اللياقة وحسن الضيافة اللازمة لإسعاد ضيوفه. يقدم هذا الفندق العديد من الخدمات الكفيلة بإرضاء أكثر الضيوف تطلباً. بالإضافة لهذا,تتضمن كل غرف الضيوف مجموعة واسعة من وسائل الراحة . بعض الغرف توفر حتى تلفزيون بشاشة مسطحة, غرف لغير المدخنين, مكيف هواء, تدفئة, مكتب لإرضاء أكثر الضيوف تطلباً. يمكنك الاستمتاع بالأجواء المريحة التي تقدمها مركز للياقة البدنية, ساونا, حمام سباحة خارجي, سبا, تدليك طوال النهار. إن Vision Apartments هو خيار ذكي بالنسبة للمسافرين إلى كيرنز، بما يوفره من إقامة هادئة ومرحة. The apartments are very clean and well equipped but next to a construction site with noise starting well before 7am every morning we were there (Monday - Saturday). Really constant noise. When you are from a different time zone and only fall asleep just before the construction starts for the day it makes for an unpleasant break. It's unfortunate (and I appreciate it isn't the fault of Vision) because the apartments are well located - easy walk to Lagoon, kids playground and water park, shopping, restaurants etc but I wouldn't recommend unless you can sleep through all noise. Reception staff all very friendly and helpful so noise was only issue. Chilled water from fridge was handy - coffee machine would have been really useful (especially after not sleeping for 3 days!). Will be a great place to stay after construction is finished. Although I booked a deluxe apartment and there were no views of the water as appear in the promotional photos. I will recommend my friends to stay here. It was a home away from home. With all the comfort and conveniencies except it is a service apartments. Staff were friendly and helpful. Centred and accessable to ammenities and a few attractions. Building construction was hardly noticeable as we were out all day. End result, children were happy and enjoyed their stay there. The staff were very friendly and the apartment felt like home away from home! We had a lovely time here, good location and facilities. would definitely stay again. The apartment we stayed was spacious and has view to the ocean from the balcony. The building is within walking distance to the central area but it is nicely away from the noise. They did service our apartment daily but very briefly. They only emptied the big bins in the kitchen, made our bed and provided clean towels which only took 3 min. We had to clean the bathroom and empty bathroom bins by ourselves which we felt ok to handle. No sheet change for the 3 days. Overall we enjoyed our stay. Stayed in a 3 BR apartment. The apartment was ready as we arrived. Undercover parking, swimming pool was great. Located on Esplanade and very close to stops, night market and restaurants. The BR apartment was on 2nd floor and didn't have direct water views so was a bit disappointment. We stayed in an apartment with a direct gate access to the pool and it was fantastic with the kids. We didn't hire a car and walked everywhere we needed to go, with muddys water playground and the lagoon close by. The staff were very helpful and managed everything for us, making our holiday a very enjoyable trip. We enjoyed our stay and any complaints with room were attended to straight away. We had the best time n enjoying very much .fully furnish great time with Bbq n pool.except some machine were broken .room service not clean our room properly ,They have miss my room . 5 star luxury. Everything has been thought of. The kitchen has more appliances than my kitchen back home. Close to the city centre. Brilliant rooms, spacious and super comfortable. There is an aircon in every room as well as a fan. There is a massive verandah and great security. I didn't find the service very welcoming. The staff could have been friendlier and more helpful, but otherwise perfect! Location. Large living area. Large master bedroom and ensuite. 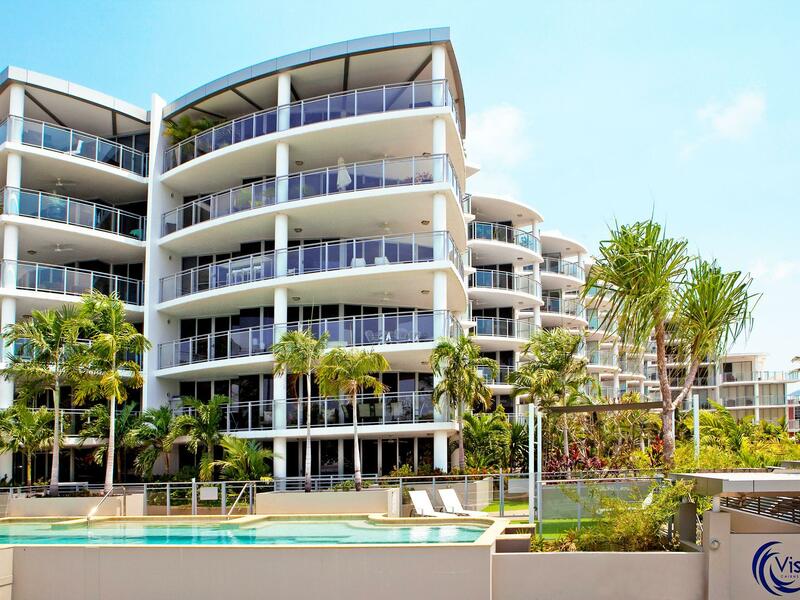 Fantastic location right on the esplanade located just around the corner from the restaurant and cafe strip. Apartment is quite large with a large living area in open style living layout. Large master bedroom with ensuite complete with large bath. The Balcony looked right onto the esplanade, although in Cairns that is not the best looking esplande or strand around as it is mud flats and when the tide is out, its not as special as what it is made out to be.